This exhibit depicts the anterior and parasagittal skull fractures with resulting injury to the left middle meningeal artery. 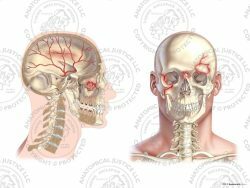 The middle meningeal artery is a terminal branch of the external carotid artery which enters the skull through the foramen spinosum. 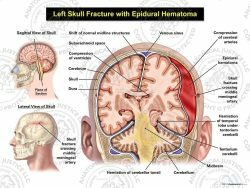 Upon entering the skull, it supplies the dura mater and calvaria. 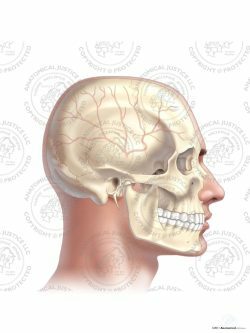 Its branches can be seen extending beneath the frontal, temporal, sphenoid, and parietal bones of the skull. 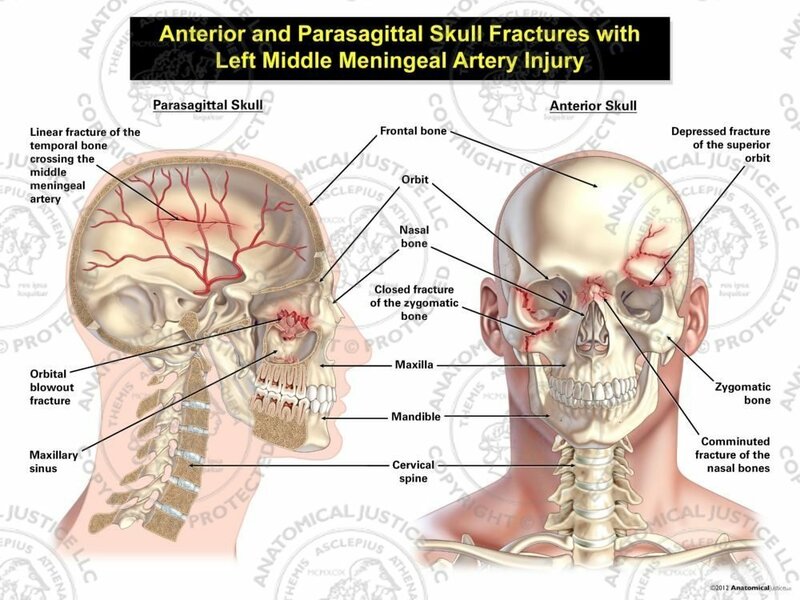 Parasagittally, a fracture of the temporal bone causes injury to the underlying middle meningeal artery, resulting in intracranial hemorrhaging. 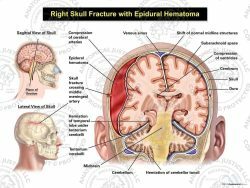 An orbital blowout fracture is also present, with fracture fragments extending into the maxillary sinus. 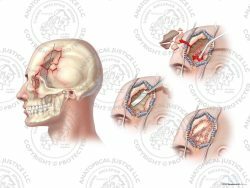 Anteriorly, a closed fracture of the zygomatic bone can be seen, along with comminuted fractures of the nasal bones, and a depressed fracture of the superior orbit.